For optimal wellbeing, a spa pool is a great way to reduce stress, soothe achy muscles and accelerate healing. With dusk descending earlier and temperatures taking a nose dive, tropical island holidays are particularly popular this time of year. Just as the warmth of the sun relaxes us, so too does a spa pool. And, for the price of a two-week island holiday, a spa pool can transport you to your own tropical paradise every night. Research shows that the benefits of spa pool massage therapy are many, with new discoveries year after year. Of the therapeutic benefits, it has been found that spa pools can help lower blood pressure, give relief from pain and fatigue, and support faster tissue repair. As modern life becomes more and more busy, spa therapy is an ideal method for keeping skyrocketing stress levels in check. And, if you’re one of the thousands of New Zealanders who have trouble sleeping, a soak in the spa will raise your body temperature, which slows your heart rate, which helps support a good night’s sleep. Ideal for post-workout relaxation and muscle repair, spa pools ease the pain and even accelerate the natural healing process. The increased blood flow carries lactic acid away from the muscles faster, easing fatigue. As tense muscles relax, pressure releases on the surrounding nerves and blood vessels, aiding pain relief. Warm water hydrotherapy stimulates the release of endorphins, the body’s natural pain killer. But, pain reduction is only part of the healing process. Ultimately, blood flow is what brings nutrients to damaged cells and completes the healing, which spas can help with as well. When the body is immersed in warm water, blood vessels nearest the skin relax, allowing more blood to flow. And, for those suffering from lower back pain and arthritis, spas can offer both short and long term relief. For many years Europeans have used spa therapy as an alternative treatment for various chronic diseases, reducing the use of analgesics and anti-inflammatory drugs. Soak up the health benefits with New Zealand's premier Wright HotSpring Spas. Check out the extensive selection at 20 Carmen Road in Hornby. + Designed to withstand the toughest frosts, with full insulation. + ACE Salt Water Sanitizing System promotes pure, soft water, using fewer chemicals and with no nasty chlorinated smell. 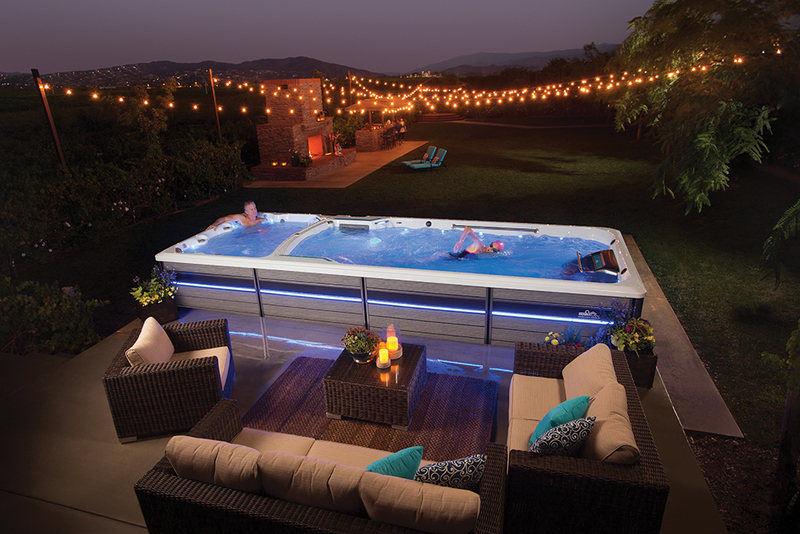 + Unlike other models on the market, Wright HotSpring Spas’ Highlife and NXT models have 100% filtration. + Advanced features include 1.5kW heaters and 38W circulation pumps, which are significantly more affordable to run than other brands. + Endless Pools offer an all-round fitness experience for swimming and resistance training – ideal for small outdoor areas. + River current technology offers a natural river flow with 54 speed levels.